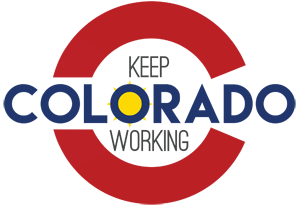 The Chamber is a non-partisan, pro-commerce membership organization. Through groups like Business Leaders for Responsible Government, the Legislative Action Committee, and our Board of Directors, we provide extensive opportunities to engage with public policy. While the Chamber does not endorse political parties or specific candidates, we have been very active in exploring the many ballot initiatives brought forward in 2016. With this participation, our goal is to affect lasting public policy changes to ensure continued economic success across six areas of focus. Heading into this year's elections, the Chamber has taken positions on the following initiatives. 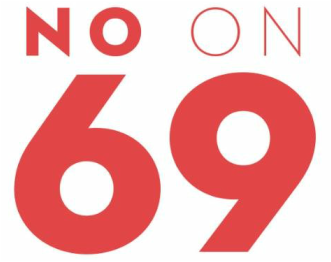 Why do we oppose Amendment 69? Amendment 69 will raise $25 billion in new taxes to fund a massive government-run health care system - giving Colorado the highest income tax in the country. ColoradoCare will be run by a 21-member Board of Trustees which is exempt from recall and accountability. This is yet another complex and costly amendment to our state's constitution - making it difficult to amend or change in the future. Coloradans should not have to risk their health care to be the testing ground for a national single-payer policy. Download the fact sheet here. Or visit Colorado for Coloradans for more information. Amendment 70 is part of a broader national push to dramatically increase the minimum wage. Since 2006, Colorado has raised its minimum wage by more than almost any other state, giving it one of the highest minimum wages in the country. Amendment 70 increases the existing minimum wage by more than 44% in the next four years for most entry-level workers and by nearly 70% for servers, bartenders and other tipped employees. This dramatic wage hike offers little flexibility to account for differences between rural and metro areas or compromise for the employers of tipped employees - damaging small businesses and ultimately hurting the workers it is intended to help. Why do we oppose Amendment 70? Amendment 70 would reduce Colorado employment by nearly 90,000 jobs over the next six years and depress wages in the state by $3.9 billion annually. Amendment 70 has an outsized impact on teenage workers, depriving many young Coloradans of early job opportunities and training. With entry-level workers making $12/hour there will be pressure to raise wages for all employees, causing increase labor costs for all businesses. As a constitutional amendment, Amendment 70 cannot by changed by the legislature if passed. It's just too extreme for Colorado. Learn more about Amendment 70 on the Keep Colorado Working website or click here for stories about its impact on small business. Colorado has the easiest constitution in the nation to amend. Every two years, special interest groups from across the country try to push their agendas into our constitution - costing the business community time and money. Amendment 71 aims to change that with two provisions. First, Amendment 71 will raise the signature requirement to 2% of the registered voters in each Senate District. Once on the ballot, issues would need 55% of the voters to pass, instead of the simple majority. This is a straightforward and commonsense way to protect our constitution. South Metro Denver Chamber has joined strong bipartisan support for Raise the Bar. Click here to view other notable endorsements. Why do we support Amendment 70? It gives a voice to the entire state. Current law has no geographic requirement for collecting signatures. Raise the Bar requires signatures from both metro and rural communities within Colorado. This initiative simply raises the bar for changing the Constitution - the bedrock of our state government. It does not take away your right to propose changes or place initiatives on the ballot. Over the years, narrowly focused amendments have placed conflicting and unsustainable policies in our state's Constitution. Raise the Bar will help reduce these efforts in the future. For more information, visit the Raise the Bar website. This year, voters will be asked to extend Scientific & Cultural Facilities District (SCFD) funding until 2030. This sales tax, of one cent for every $10, helps fund more than 300 small and large cultural facilities throughout six metro area counties, including: Denver Zoo, Denver Museum of Nature & Science, Denver Art Museum and Denver Botanic Gardens, among others. Not only does this fund play an important role in maintaining Denver's vibrant cultural scene, but it has a huge impact on the economy. The SCFD generates $1.85 billion annually in economic activity, supports more than 10,205 jobs and spurs tourism by nearly $520 million. Why do we support Ballot Issue 4B? Over the past 28 years, the SCFD has earned Denver top-billing for support of the arts, allowing for a flourishing cultural scene. This support elevates the quality of life in the metro area and plays an important role in attracting new companies to Colorado. SCFD Funding is supplemental for organizations and enhances access to educational opportunities and programming for more than 4.25 million school children (most of whom attend for free.) It also supports reduced admission for twice as many visitors as who paid in full. Attendance at performing arts events has grown 95% since the nationally unique SCFD tax district began in 1988. Colorado citizens now have access to twice the number of arts and culture organizations throughout the city. Supporting the SCFD continues this growth. Learn more about the SCFD and why the Chamber supports it by visiting their website. Voters within Cherry Creek School District, which covers 8 municipalities from the South Metro Denver region, will be asked to support two funding measures. Measure 3A will seek $23.9 million in a budget (mill levy override) issue and Measure 3B will seek $250 million in a bond issue. This crucial funding helps accommodate for growing class sizes, helps recruit quality teachers, helps the district invest in S.T.E.M. education initiatives, helps protect students with updated security and surveillance systems, and helps maintain the district's national reputation for academic excellence - increasing property values and spurring further economic growth. A vote yes on 3A & 3B will help Cherry Creek Schools provide a comprehensive curriculum tailored to students interests, preparing them for greater post-secondary success. Investment through these measures provide the staff & students the right resources to prepare for the unexpected, while improving safety procedures for school grounds. Cherry Creek School District's dedication to excellence supports the community by attracting new residents for further growth & development - and higher property values. Download detailed information about this proposal or visit their website, Citizens for Cherry Creek Schools for more information.